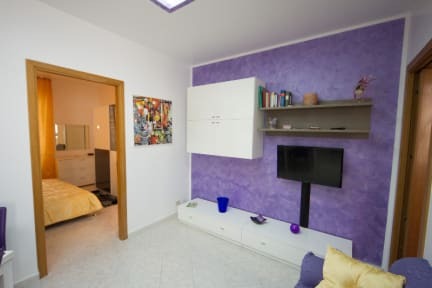 Disponiamo di un altro appartamento nelle vicinanze con 7 posti letto. 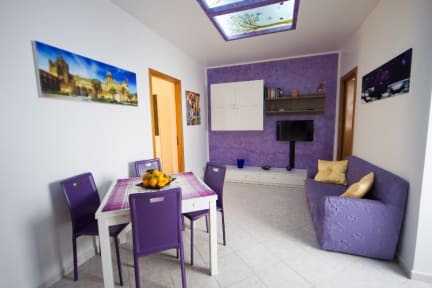 My House Palermo apartment ideal for a family holiday, for a group of friends, young couples or business travelers. Available for daily or weekly. Its strategic location is ideal for visiting the sights. The apartment sleeps up to 4 people, consists of a spacious living room furnished with a table and chairs where you can have lunch, a comfortable sofa, a bedroom with a double bed and a bedroom with 2 single beds. The apartment has a fully equipped kitchen, a bathroom with shower tub, air conditioning (hot / cold). They are available to guests of the apartment, 32-inch LED television, hair dryer, refrigerator, oven, washing machine, kitchen utensils and dishes for table, kitchen linen, room and bathroom. Near our apartment (walk), and 'can find many interesting sites to visit, such as the splendid Gothic Cathedral, the Palatine Chapel and the Palazzo Reale (Royal Palace of the Normans), the Zisa Castle and the Museum of Islamic Civilization, Catacombs of the Capuchins, Villa Malfitano, the Teatro Massimo and the ancient market of 'Head', where you can find all the typical Sicilian products. You can use the nearby city bus station (about 50 meters in Piazza Principe di Camporeale) to be connected to all the main attractions of Palermo. Less than 50 meters from the house, a short walk away, the whole area and 'full of shops, supermarkets, small restaurants and pizzerias. A few hundred meters from the apartment are also easily reached Clinics Nursing Homes Noto, Demma, Orestano and Turin. Recently, the apartment has been completely renovated and furnished.